Strangely enough, the notion that Singaporeans are too proud to get down and dirty is being proven wrong by the industry you’d least expect: on-demand cleaning startups. The fact that a recent spate of startups like Helpling and The Sunday Crew are gaining popularity sounds like more of the same reluctance to do such menial labour, but one look at the cleaning staff they employ would disprove that notion. Without exception, the freelance cleaners registered with these startups are all Singaporeans or PRs. Launched just last month, Sendhelper is the newest kid on the block to venture into the local on-demand service market. It’s early days yet for this market — the two on-demand messaging concierges in Singapore, nihao and Messenger, launched barely two months ago — but it’s already starting to seem saturated with the blitz of start-ups entering it. We spoke to Dheepu George, Business Development Associate at Sendhelper, to pick his brains about on-demand services, and why Singaporeans need them. 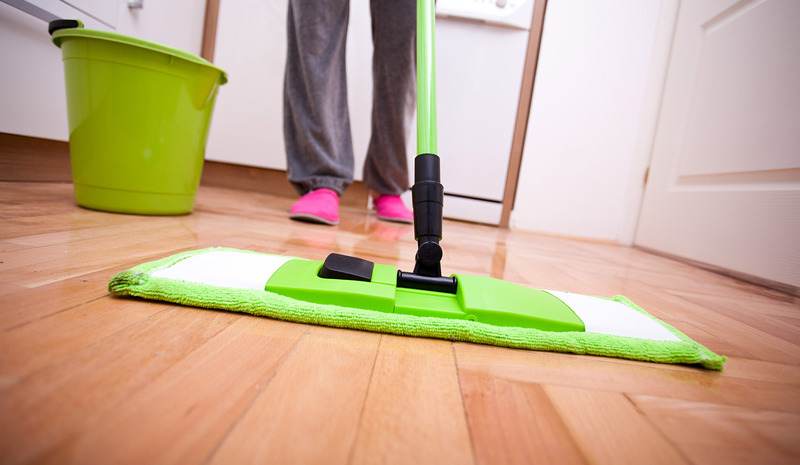 Part-time Cleaners – A Common Household Need? The team of three investment bankers behind Sendhelper — NUS, INSEAD and ISB graduates, according to Dheepu — were struck with inspiration when they realised that their families and friends were all facing problems in their search for a part-time cleaner. As Dheepu recounted this to me, I found myself nodding in agreement — his words recalled a colleague’s complaints to me about a similar difficulty her family was facing. The need for hired help — whether part-time or full-time — is a “common household problem”, Dheepu says, in busy, urban Singapore. Initially, I felt averse to the idea of on-demand help — it seemed to be more an upper-middle class privilege than anything else. When I pointed this out to Dheepu, however, he readily framed his startup’s service in a different light. “We’d like to see home cleaning in a different perspective. In a time pressed life, it’s an uphill task to complete your projects on time, spend quality time with family and go for a vacation in between. Sendhelper steps in when there’s too much on your plate — we take care of basic but essential services like cleaning so that you can channel your time, energy and expertise on other tasks. Also Read: New On-Demand Cleaning Service The Sunday Crew Lands In Singapore, But Do We Need Them? Remember how I mentioned that domestic help is usually a boon enjoyed by the well off? The interesting thing about fresh new startups like Sendhelper is that they don’t just benefit consumers — they have the potential to make cleaners’ lives much, much better. One way they’re doing this is through solving a few problems that plague the cleaning industry, namely, the shortage of cleaners and the use of illegal domestic workers. “In our initial research,” Dheepu relates, “we went looking for local agencies that supply part time cleaners and to our surprise, there weren’t many. It’s been an uphill battle improving Singapore’s cleaning sector, where under-valued and underpaid cleaners — stemming from a “reliance on cheap foreign labour” — are par for the course. Just three days ago, Channel NewsAsia ran a feature on increased wages for resident cleaners as a result of the recently-implemented Progressive Wage Model. With startups like Sendhelper entering the fray, providing a larger potential pool of locals and PRs who can clean as independent workers, it’s possible that they might pave the way for cleaners and helpers to be held to a more progressive, humane standard. In fact, the demographics of cleaners registered with Sendhelper and its ilk might just revolutionise the stigma surrounding cleaning entirely. The increasing number of locals willing to do such blue-collar jobs defies the still-pervasive notion that cleaning is lowly — a job to be done by someone else. “We found innovative ways,” Dheepu reveals, “to reach out to housewives, students, and others who were happy to augment their income working part-time. We handed out flyers at hawker centres, grocery stores and HDB units to get the word going. Instead of a status quo where cleaners are low-wage workers, startups like Sendhelper are turning cleaning into a job — albeit freelance — where those in need can earn some extra cash. How’s that for revolutionary? Also Read: Fipin Is The Uber For Laundry Services Targeted At Singapore Tourists, And We Like It! The post The Plight Of Part Time Cleaners In Singapore & How Startups Are Changing That appeared first on Vulcan Post.